Gerard Butler arrives on the red carpet in a standard tux. Expected and traditional, but it still works. Rock stars and movie stars often hang out together, but it's rare that they actually rock out together. 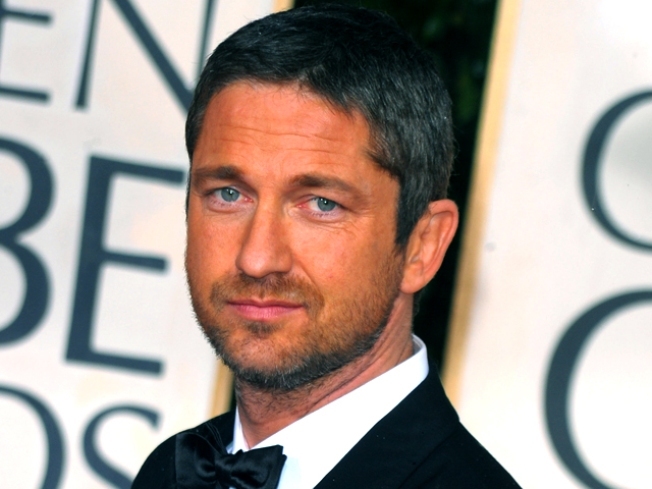 Gerard Butler was able to do both with the help of some high-profile friends for his 41st birthday, reports the New York Post. Butler rented out new supper club The Darby in New York's midtown Novermber 13 for a crowd that included stars like Adrien Brody, Kate Hudson, Bono and Jay-Z. After being roasted by the night's emcee, cabaret star Lady Rizo, Butler jumped on stage to sing a few tunes. He busted out the Oasis hit "Wonderwall" before prodding guitar god John Mayer to join him onstage. The duo then tore through an uproarious version of "Mustang Sally" to the delight of the crowd. Mayer then played a version of his own hit "Who Says." Butler also hit up the dee jay booth as the evening progressed, requesting lots of rock, 80s hits and funk tunes.